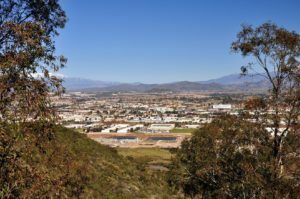 Caught between Los Angeles and San Diego, Menifee still has that small town feeling, and our local moving crews are happy to help your family or your business find a home here. From one of our many community parks with pools, tennis, or picnicking, to golfing at the Menifee Lakes course, to the off-the-beaten-path destinations like the Motte Museum, Menifee has a lot to offer your family or business, and Priority Moving can help you get here. Orange County movers might specialize in residential moves, or urban moving, but at Priority Moving, we do it all. From residential moves to commercial and business moves, and comprehensive packing, moving, and storage solutions to make it all easier, our professionally trained movers are here to make sure your move is as easy as possible. We know that moving can be stressful on families, and when you plan your residential move with us, you can be sure you’re getting the best experience from any Orange County movers. We’ll help you pack your belongings, including antique, heirloom, and delicate possessions, so you can feel secure in moving them to your new home. Priority Moving can also help with interstate or long distance moves. These moves can be more complex because of the miles involved, but we offer storage solutions to help fill any gaps in your timeline, and we’ll work with you to sort out timing, and any other resources you might need. Military families, relocated employees, and others will find a cost-effective and efficient solution in our storage units, no matter the size or duration that you need storage assistance. Our units are climate-controlled and in a secure facility, so you can rest assured that your possessions are safe as long as they’re with Priority Moving. Our local moving teams can make your commercial move easier by planning out each detail to ensure that when you get to your new space, your business can be set up and operational again seamlessly. We know that making a business move can mean interrupting service to your clients, so whether you’re moving manufacturing equipment, products and confidential files, or office supplies, we prioritize getting your business set up in its new space quickly so that you can resume activity as soon as possible. Work with Priority Moving, and you’ll know you’re getting the best of Orange County movers. Call today for your free quote, and find out what our teams can do to make your move as easy on you as possible.